We would like to thank the Richmond Hill Philharmonic Orchestra for partnering with us for our closing performance. It was an evening filled with beautiful music and art. 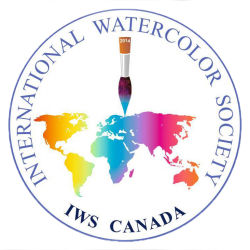 The photo below is of Rayne Tunley, President of CSPWC and Ona Kingdon, President of IWS Canada with Bonnie Steinberg and Andrew Sookrah the two live demoing artists. The following three video clips will give you just a glimpse of the evening. 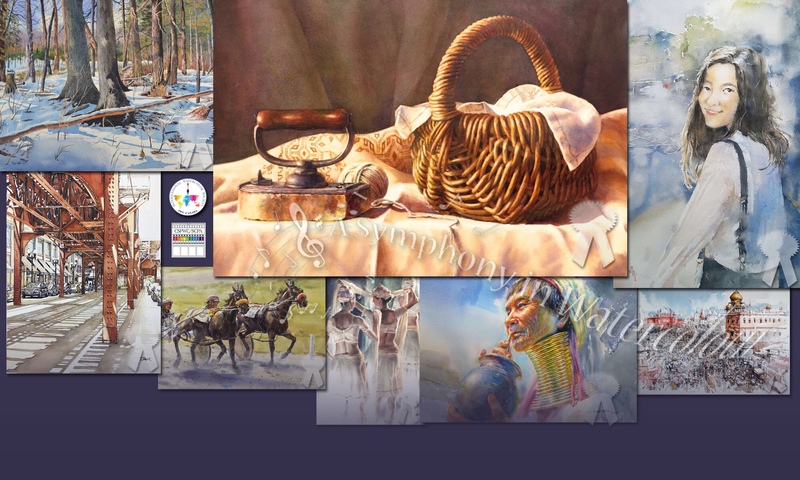 The first features live Interpretation of the music played by the Richmond Hill Philharmonic Orchestra by Watercolour artists Andrew Sookrah CSPWC and Bonnie Steinberg CSPWC. The second video shows just a small selection of the 150 paintings which were projected onto a large screen behind the Richmond Hill Philharmonic Orchestra throughout the evening. and in the third video Artistic Director of the Richmond Hill Philharmonic Jessica Kun thanks IWS Canada President Ona Kingdon for organizing this event and features several of Ona’s music themed paintings during the encore. The whole evening was a beautiful way to close our month long celebration of watercolour. Previous PostPrevious Symphonic Watercolours – Performance Tomorrow Night!